Implants and Bridges–and How Dental Insurance Can Help – David M. Kulawiak, Inc. Dental implants and bridges both replace missing teeth. These devices will likely become more common as the baby boomers age. What are they, and will your insurance cover them? A bridge is a dental restoration that “bridges” the gap left behind by missing teeth. Fixed bridges are those that have been cemented into place. False teeth, called “pontics,” form the middle part of a bridge, while the anchoring crowns or “abutments” on either side of the pontics hold the bridge in place. The abutments are connected to the neighboring natural teeth — if healthy and not decayed. The anchoring teeth are either shaved or filed down to provide space and surface area for the connection. Your dentist might opt to use a cantilever bridge when a crown cannot be placed on both sides of a gap. These are anchored on only one side of the gap. Maryland bridges consist of winged pontic(s) bonded with resin cement onto the back of the adjacent teeth. Implants consist of a titanium post screwed into the jaw, so the tissues grow onto it. This process is known as osseointegration and is more stable than traditional bridges. An abutment is placed on top of the implant. As the tissue covers the post, the abutment juts out from the gum line. A permanent crown is attached to the abutment as the final step. Maryland bridges are neither as strong nor as permanent as the others are. They will pop off if overused! An infection may occur at the site of the implant. The surrounding teeth, blood vessels or nerves may be damaged during the procedure. Sinus problems may also result from implants in the upper jaw. If the bone does not fuse to the implant, it will have to be replaced and allowed a few more months to heal. The procedure for an implant is twice or three times as long the procedure for a bridge. Removal of a natural tooth will mean two more months of healing before you can get an implant. A bone graft will take three to nine months before the transplanted bone will support the implant. Traditional bridgework takes between two and three weeks. Maryland can cost you $250 to $550 per wing. A replacement tooth will cost $600 to $1,200. Two-winged bridges with one replacement tooth will cost between $1,100 to $2,300. Cantilever bridges mean $2,100 to $4,500 for a three-unit bridge, and $700 to $1,500 for a one-unit bridge. A single implant with a reasonably priced crown costs about $4,000. The most expensive part is the crown. It does not matter if the crown is applied to an implant or a natural tooth; the price is almost the same. Two to six implants that support a bridge may cost anywhere between $3,500 to $30,000 or more. Losing bone and gum tissue over time can create gaps underneath the pontics. Thus, bridges may start looking natural but not end that way. An implant guarantees aesthetic results, since the crown of the implant emerges from the gums in the same way a natural tooth does, rather than resting on top of them. If well maintained, implants will last for life for older patients, even though the crown may need replacement every 10-15 years. Accidents and diseases are another matter. Bridges will need replacing every five to seven years. Most dental insurance plans cover bridges, so individuals with insurance may be able to reclaim a considerable percentage of the cost. On the other hand, dental insurance rarely covers implants. It may cover a part of the cost of crowns. Some insurance policies may not cover implant-applied crowns. Ask your insurance provider if it covers implants before you get one. Bridges are for people who require quick solutions and no surgery. People with root canals on adjacent teeth. Broken/infected teeth surrounded by healthy teeth. Before you choose one of the above procedures, discuss your options with your insurance provider and dentist. Some dental insurance plans only cover prosthetics (tooth replacements) at 50 percent. 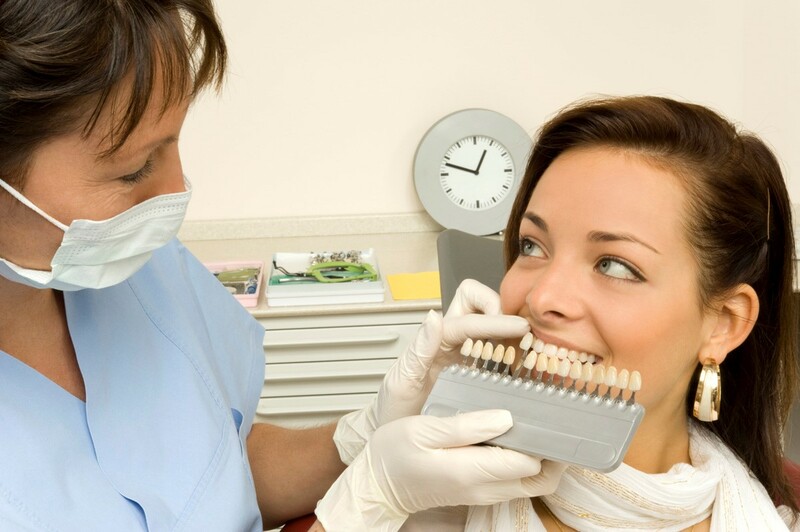 The procedure you choose will depend upon your needs and budget. For more information on dental insurance, please contact us.